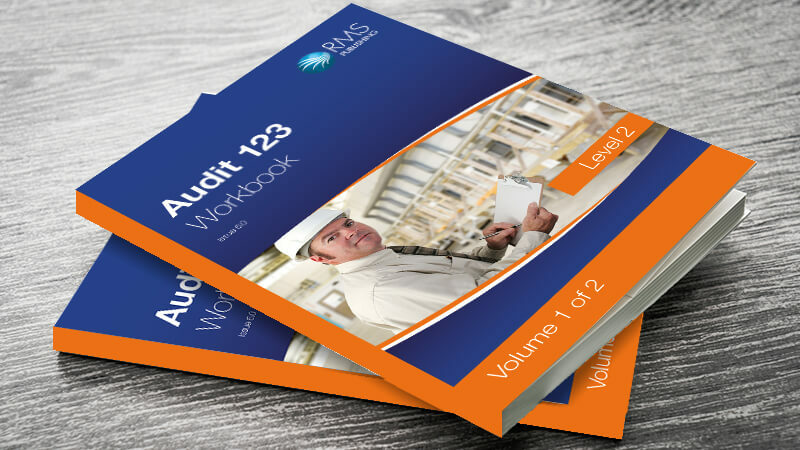 The Audit 123 Level 2 Health and Safety in the Workplace checklist workbooks enables detailed analysis of the status of an organisation’s legal compliance, management of health and safety and control of specific risks. They provide auditors with an in depth analysis of the criteria contained in the Audit 123 Level 1 publications for this topic. The searching approach puts under scrutiny the risk control systems that lead to good workplace health and safety. The style and depth of content establishes these checklists as an excellent tactical auditing tool. This is very useful for audits used to identify the underlying aspects of good management that lead to compliance or analytically identifying the symptoms of ineffective management after an incident. Volume 1, this volume, provides a validation of the procedures and systems in place and the compliance of the organisation with appropriate legislation. Volume 2 provides a validation of the implementation of the risk control systems for the variety of risks found in the workplace. The Audit 123 Level 2 Health and Safety in the Workplace checklist workbooks for this audit package are in two volumes, each has an accompanying auditors’ guidance publication (all purchased separately). This volume, Volume 1, provides a validation of the procedures and systems in place and the compliance of the organisation with appropriate legislation. The structure of the checklists follows that of level 1, but in a more detailed format, which enables close examination of the organisation and its systems. Each requirement set out in the level 1 publication is broken down into the component parts that make it effective. This allows Level 2 audit checklists to act as a diagnostic tool and support resource management improvement initiatives. This checklist workbook can be used in its current form without preparation or adaptation and enables an auditor to quickly identify an organisation’s strengths and weaknesses in respect to workplace health and safety. The format of the workbook reduces audit preparation, simplifies analysis and aids report creation. The unique progressive evaluation and scoring system is very user friendly and it makes it easy for the auditor to recognise success and identify improvement actions. The workbook includes forms to enable analysis of the organisation as a whole and, if required, at departmental level. The publication is wire bound for ease of use. Separate checklist guidance has been published to accompany this workbook and guide auditor decision making, enabling audits to be comprehensive and consistent – see Level 2 Volume 1 guidance.